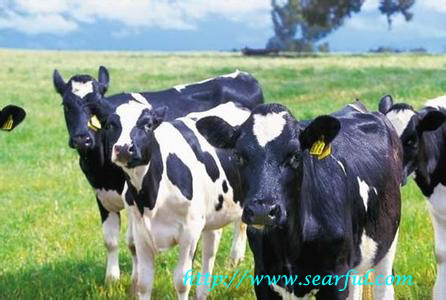 SeabreezeRFID offers a RFID-based system for the identification and tracking of livestock. The system enables individual animals to be tracked all the way from the farms of origin to the meat mills and then to the retail market. This helps to ensure food safety, product integrity and access to markets meeting regulatory requirements. Data captured about life span and movement of livestock through the supply chain via Livestock Identification system can efficiently help reduce the financial and social impact of livestock disease accidents and gain access to the customers and markets demanding food traceability. Prior to using RFID based solution offered by SeabreezeRFID, livestock is identified by means of manual or close proximity data collecting. This process does not accommodate the speed of commerce in the livestock industry and can be open to missed reads. The RFID-based solution can identify and track livestock over long distances at a moving speed, providing not only increased operational efficiency and accuracy but also enhanced product quality. Fixed RFID reader, handheld RFID reader, RFID animal tag, electronic tag of writing and automatic identification software. •Realized the animal identification code, tracking and linking livestock to the food location vaccination and health history. 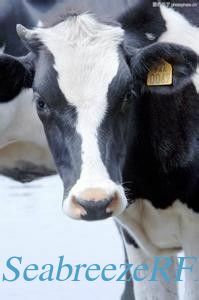 •Robust RFID ear tags deliver consistent performance. 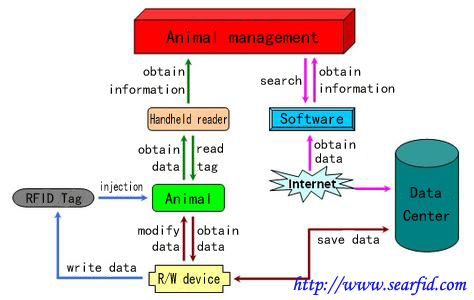 •RFID electronic ear tag, portable RFID read, GPRS network, background database, application software, various components closely together, centralized livestock data management facilitates rapid and effective response to emergency situations. •Food traceability enabled by RFID solution from SeabreezeRFID helps to pinpoint the root problem and eliminates public fears in case of food sanitary incident.